Day 2 of the 31 Day Challenge. Perfect record so far. lol! It's hard to mess up two days, we'll see how 31 actually goes. 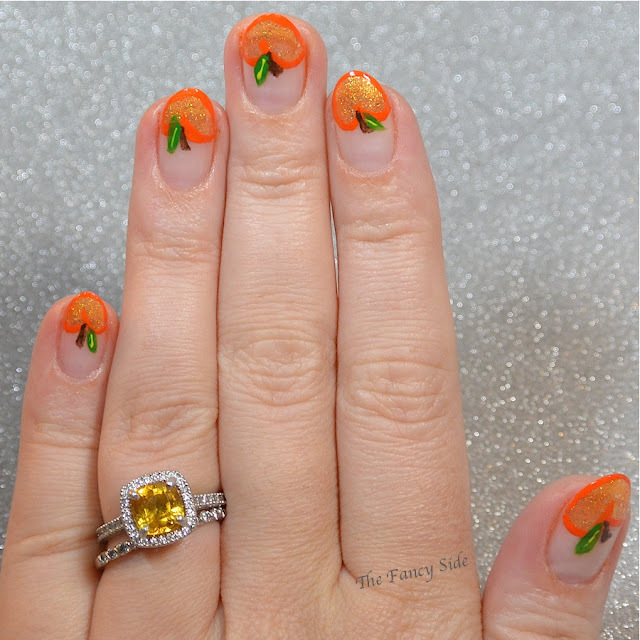 So today is Orange Nails. I knew the obvious answer was to paint orange oranges, but instead I went with peaches, because well...they are still a fruit and orange. The whole time I was doing this I kept singing to myself "I really love your peaches, want to shake your tree" from the Joker by Steve Miller Band. It's stuck in my brain now. 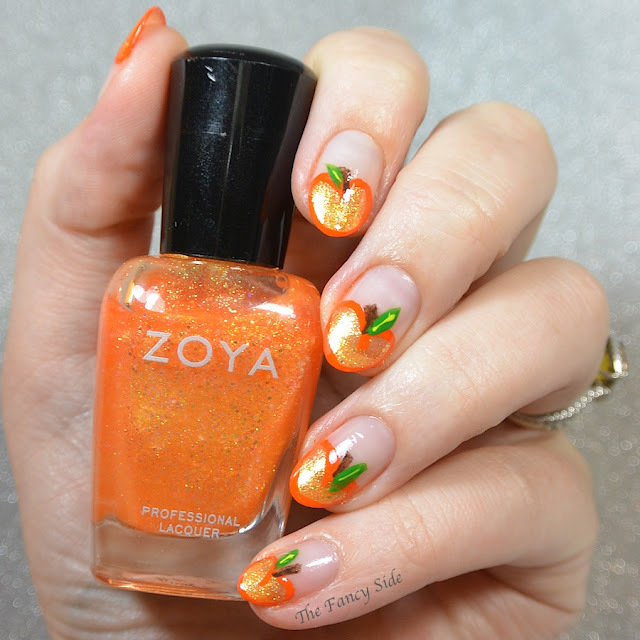 The base for these was Zoya Alma* a fun pale orange filled with beautiful shimmer and iridescent glitters. Everything else was done with acrylic paint. That's it. Simple, easy, but fun. 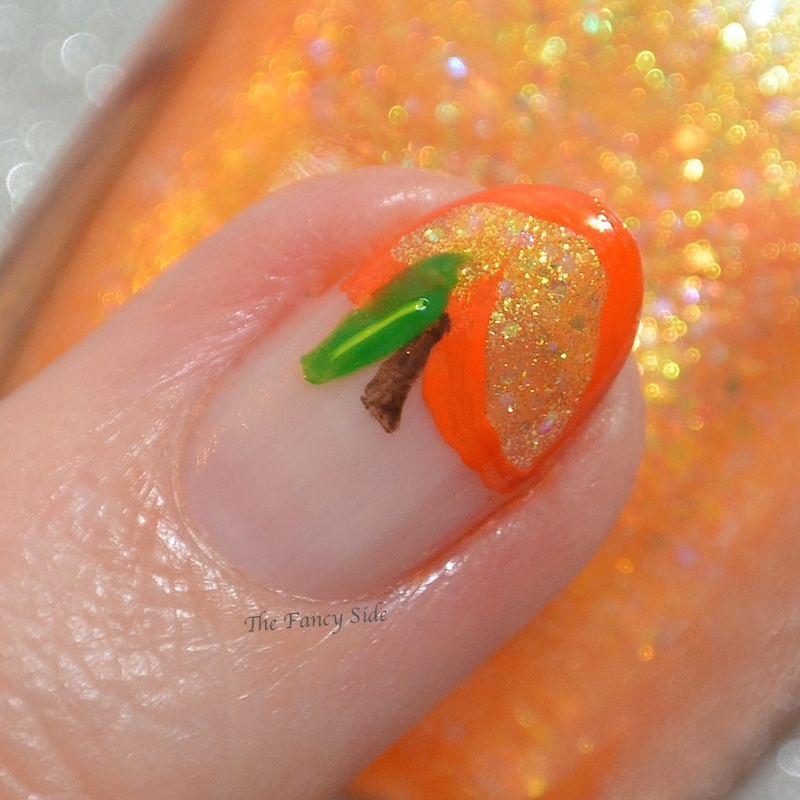 My kind of nail art! The apples are very cute, i love the orange polish. Wonderful. I love these! So cute!!! Super adorable! Love that Zoya! 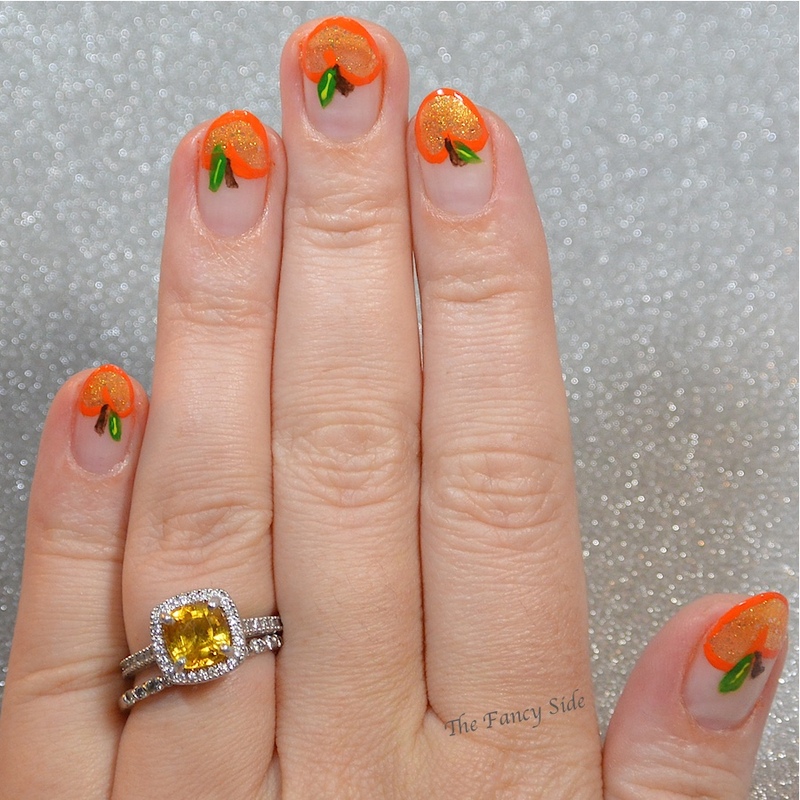 Orange can be overwhelming, so I opted for this type of design. These are so cute I cant stand it! I love how you used the shimmery polish in the center! You are too sweet! I'm super pleased with them and I'm glad you like them. 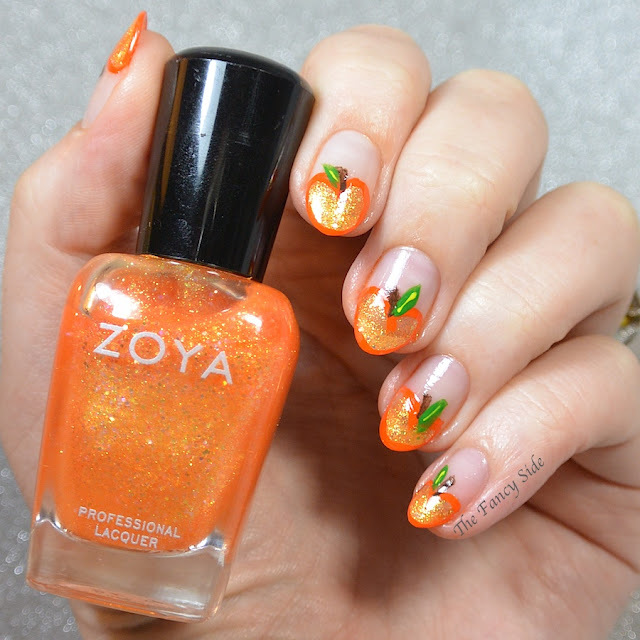 The peaches are so adorable! Thank you. I really love them.